Rameshwaram is significant for the Hindus as a pilgrimage to Benaras is incomplete without a Pilgrimage to Rameshwaram. The presiding deity is the Linga Of Sri Ranganatha, which happens to be one of the twelve Jyotirlingas of India. 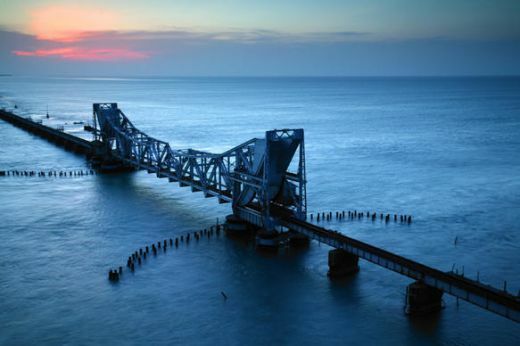 Rameshwaram is also popularly referred to as the ‘Benaras of the south’. 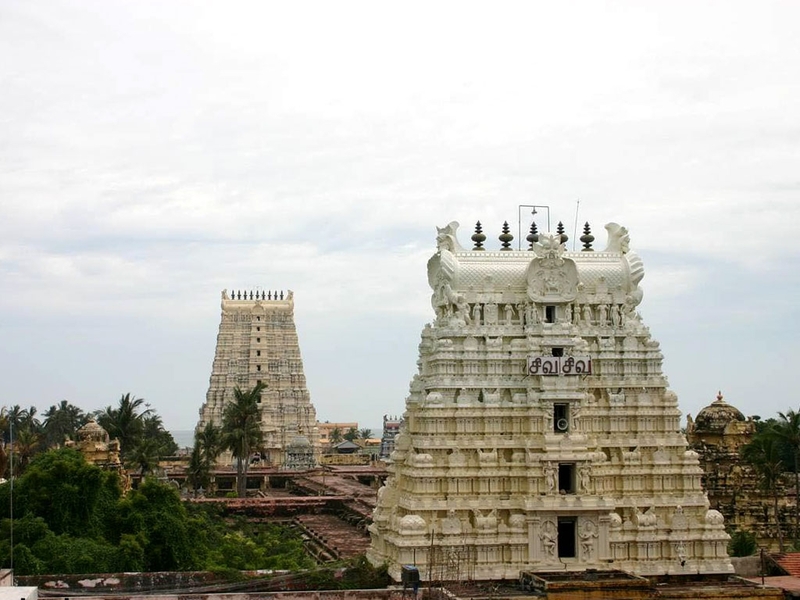 In order to attain Moksha it is believed that the visit to Rameshwaram is mandatory. Ramanathaswamy Temple - ram2Ramnathswamy temple was built in the 17th century. Situated close to the sea on the eastern side of the island, this temple is famous for its 1200 gigantic granite columns. The 54 metre tall gopuram (gatetower), 1220 metres of magnificent corridors and the flamboyant columns embellish and render fame to the temple. The water in each of the 22 sacred wells in the temple tastes different. Erwadi - An important site for Muslim pilgrims, Erwadi houses the tomb of Ibrahim Sahid Aulia. 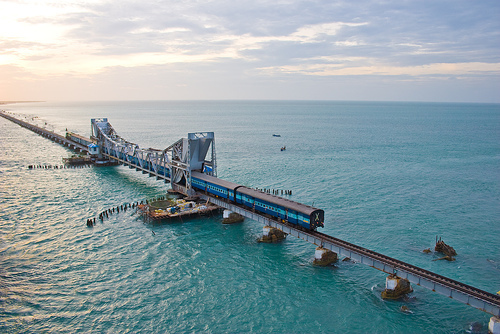 At a distance of 24 kilometers from Rameshwaram is Erwadi. Muslims from across the globe visit Erwadi especially during the month of December to participate in the annual festival celebrated as a tribute to the saint. Ramanathapuram - This ancient town is the district headquarters. The Ram Vilas Palace of the Sethupati Rajas is a must visit place. The oil portraits of the Rajas of the past centuries and the articulately designed ceilings and walls embellished with eighteenth century murals, the subjects of which vary from business. Meetings with the English to battles with the Marathas, make this place more interesting. Tirupullani - Outside the island, there are three other sites traditionally connected with Sri Rama’s expedition to Sri Lanka. A big temple in Tiruppullani commemorates the tradition that there the Lord obtained a bow and arrows to use in the impending war from its presiding Deity and also that the Lord of the Ocean who had refused to help Him finally submitted. Uthirakosamangai - 16-km southwest of Ramanathapuram stands the renowed Shiva temple of Uttarakosamangai. Manikkavachagar has sung of it. The Lord is Mangaleshvara and the Goddess Mangalesvari. The temple has inspired many Tamil works of devotion. So, of course, has the Ramanatha temple in Rameshwaram. 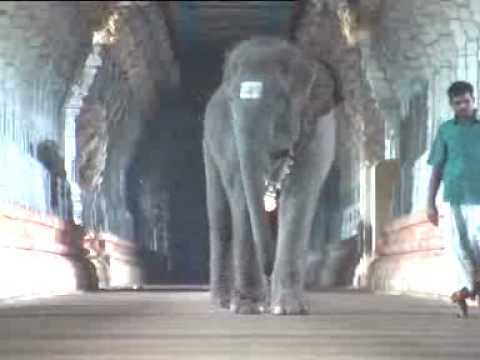 Sethu - 5-km south of the temple is Sethu, where there is a celebrated temple of Sri Anjaneya, and where, tradition holds, Sri Rama built a bridge to Sri Lanka. In Devipatnam, or Navapashanam, also by the sea, there are nine stones visible at low tide. It is believed that they were set up by Sri Rama to represent the nine planets, the Navagrahas.